For those who love to cook with fresh vegetables straight from the garden, April is the time to plant vegetable seedlings and plants for a summer harvest. Vegetables To Plant From Seed In April: There is still time to plant seeds that will produce summer and fall beets, carrots, corn, cucumbers, lettuce, melons, pumpkins, squash and most herbs. Add These Vegetable Plants: In addition to those vegetables listed above, local nurseries are brimming with all sorts of vegetables plants ready for your garden. These include asparagus, kale, tomatoes, green beans, peppers, eggplant, peas, onion, radishes, spinach, Swiss chard and zucchini. Rotate Crops: Farmers do it, so should gardeners. 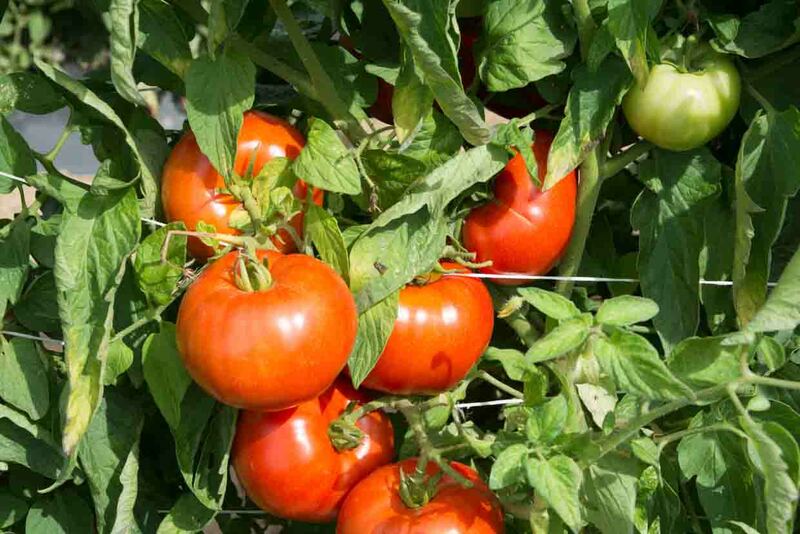 Keep soil healthy and maximize plant growth by rotating crops (i.e., plant tomatoes where peppers were grown last year). Planting similar vegetables in the same location year after year pulls the same nutrients from the soil to feed plants. Rotating crops to different locations means less stress on the soil. Relocate crops at least 10 feet from their previous location. Plant A Blueberry Bush: Blueberries are some of the most expensive fruit at the grocery store. Plant a bush or two and enjoy fresh blueberries through fall. Blueberry bushes are self-pollinizing and do best in full sun. The bush should be kept moist throughout the growing season. Make sure it is established before allowing it to bear fruit. Remove any dead, woody-looking twigs to allow stronger stems to grow. Add Drought Tolerant Groundcover: Although winter rains have turned everything green, it still makes sense to add plants that require less water. Water bills do not appear to be going down anytime soon. Plants that need little water and make good groundcover include rockrose, Spanish lavender, blue fescue, ice plant, thyme varieties and alyssum. Try Container Gardening: If you have space constraints or want to avoid the oftentimes backbreaking work of tilling and prepping garden soil, consider container gardening. Herbs, peppers, tomatoes, lettuce, zucchini, radishes, eggplant and just about any other in-ground vegetable or herb can be easily grown in containers. Revitalize Your Lawn: Winter rains have brought most lawns back from the dead. If you plan to keep your lawn, spring is the time to add grass seed to bare patches. Mow your lawn, add seed and then cover with a thin layer of lawn top dressing. Some top dressing contains an ingredient known as biochar, a porous, charcoal-like material that helps the soil retain moisture and nutrients. This means less watering once established. Water twice a day initially for two weeks. Mow the new growth when it is about two inches high.